Today did not start well – Heather’s car wouldn’t start and Lisa was stuck on a train with a flat tyre (!). We battled on, however, and by the end of the day we had made lots of progress. While I was out collecting Lisa from the train station, James and Dan hung our panels. 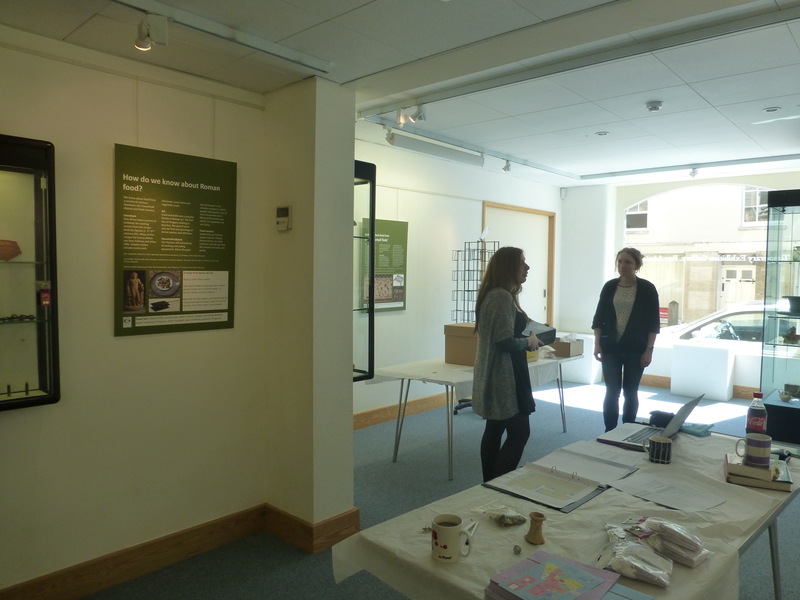 When we had everyone together in the museum, we then continued installing the rest of the objects, using material from Corinium Museum’s stores and from the University of Reading’s Silchester Insula IX Townlife project. 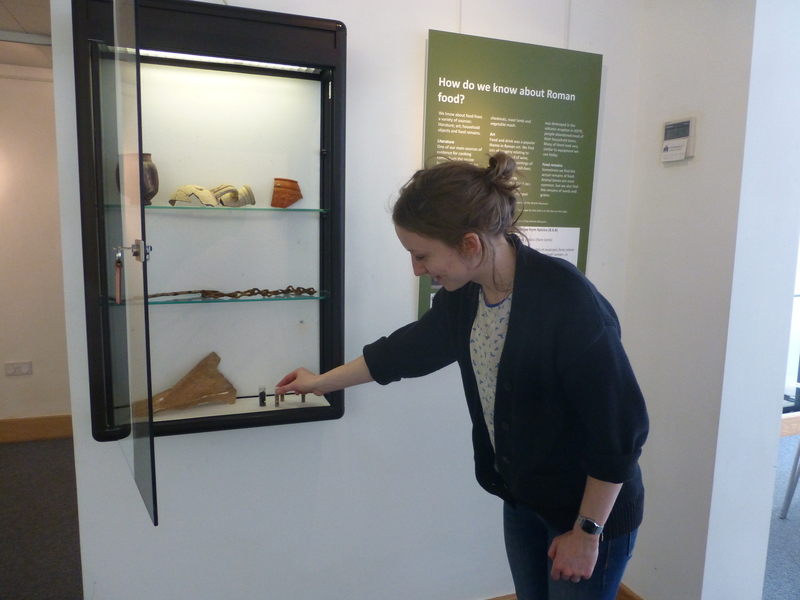 Dan also spent some time planning his gallery talk on learning about food from Roman pottery, which will be on 21st May, and gathering food memories from the staff of the museum to hang on our memory trees. Yay! Against the odds, Heather and Lisa have both made it to the museum! Lisa adding some seeds from Silchester to the ‘How do we know about Roman food?’ case. 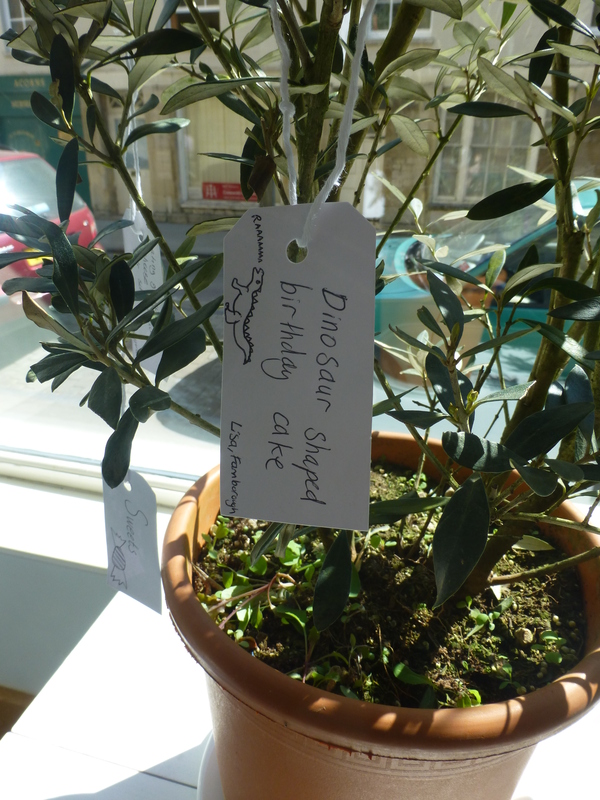 Our memory trees, already filling up with people’s food memories. 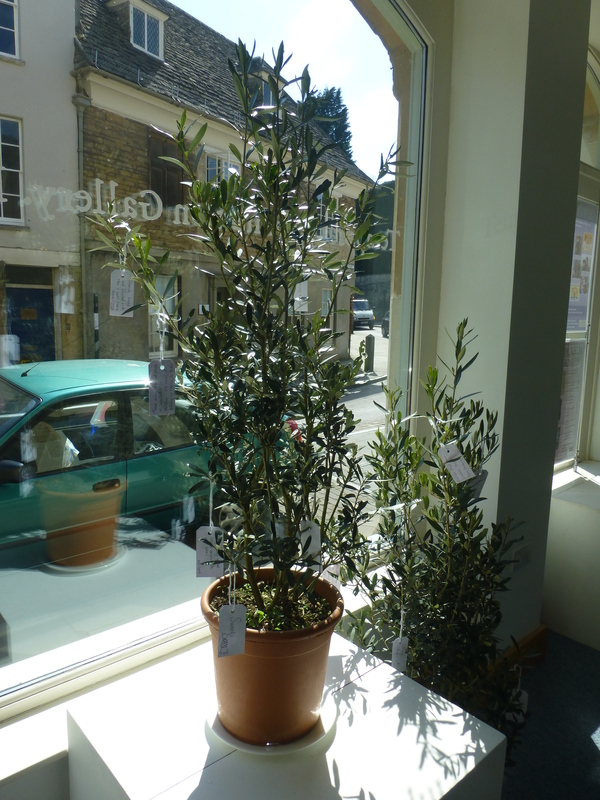 The trees are both olive trees, which were grown widely around the Mediterranean during the Roman period. This entry was posted in Corinium Exhibition and tagged archaeobotany, Corinium Museum, memory, olives on April 22, 2015 by zkamash2013.